Each month, Revolutionary Paideia awards a Person of the Month to someone embodying the unsettling, unnerving, and unhousing spirit that founded this blog. By winning the Person of the Month, an individual is not precluded from winning the Person of the Year award. 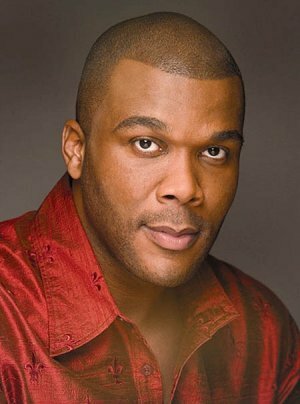 It is with great pleasure that Revolutionary Paideia names Tyler Perry as The Revolutionary Paideia October 2010 Person of the Month. Tyler Perry’s willingness to tackle taboo topics in the African-American community has unsettled, unnerved, and unhoused many African-Americans who have wished to bury serious discourses about issues like homosexuality that too often make many Blacks very uncomfortable. Revolutionary Paideia is proud of Tyler Perry for going public about being molested as a child by both men and a woman. I believe many Black men will now gain the courage to speak about how they have been victimized by people who have molested them as a result of Tyler Perry speaking out on this issue. America needs to engage more with serious discussions about molestation, especially African-Americans. African-Americans often want to push the issue of molestation under the rug because of the shame attached to it. Tyler Perry has a truly moving and uniquely American story. His story is one that proves that if you are willing to fight against great challenges in your life, no matter how disquieting they may be, you can be successful in America. This Black man has been tremendously successful in a White-dominated Hollywood. People told Tyler that his style of films would never make it in Hollywood because they are too deeply connected to the Black Church and to religion in general. His critics could not have been more wrong. This year he is the second highest earner in Hollywood. One thing that I appreciate most about Tyler Perry is his unwillingness to compromise his personal relationship with God for Hollywood’s money. Today, he has been so successful with his television show, plays, and films. In all that he has done, he has never allowed himself to get bigger than the God who put him in the position he is in today. He allows the African-American presence to be depicted in such a positive and comprehensive way in Hollywood than was previously available. Although there are many people who do not like Perry’s style, he has refused to change his style to pacify his detractors. I have heard some horrible criticism waged against him. Spike Lee has been one of most unfair critics, but Spike Lee is just hating on Perry because he has never experienced the level of success, including financial success, that Perry has experienced. Spike Lee simply needs to step his game up. Tyler Perry’s films help to reveal some truths about Black people that Spike Lee has not been willing to explore in his work. Therefore, Mr. Spike Lee, we need Tyler Perry to do what you lack the testicular fortitude to do. Again, it is a pleasure to name Tyler Perry as The Revolutionary Paideia October 2010 Person of the Month. Revolutionary Paideia proudly endorses Tyler Perry and his excellent body of work. True, true and true! I am actually watching a Tyler Perry movie right now and I can’t agree more with your post. His movies, plays and t’v shows are a refreshing breath of fresh air because they portray the black america I know. I see the Antione Dodsons and the Cosbys and I think… Ok that’s not everybody, or I’ve never seen that. Tyler Perry reveals the truth…pleasant and unpleasant. The issues discussed in these movies need to be brought up and talked about. I am so happy that he fought his circumstances to bring his stuff to the public because it is wonderful! Keyara: I appreciate Tyler Perry for showing America many of the real issues Black people experience daily–not just the sanitized stuff. For me, and from what I see Perry is doing, he understands that Black life is very in tune with the funk. We have funky aspects about our lives, but we do have more positive stuff to report too. He offers great balance in his work, but he is not afraid to present us with the truth about Black life. By him sharing with the public about the abuse he experienced as a child, God is going to bless him because he made a way for many others to begin to deal with the internal demons they face as a result of being victimized as children. I appreciate your very insightful response and thank you for reading.